Create your own party invites online at Polka Dot Design. You will find a cute birthday invitation for your favorite personal birthday party. If you're having invitations designed for your graduation event, Polka Dot is the place. Polka Dot Invitations has everything for your online printing needs. We offer invitation printing services that can be ordered online. You get to be the party planner. You get to design your own invite for any occasion. 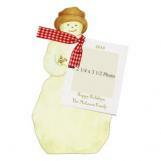 Your cards get covered by our plethora of designs and colors. Combine that to highlight the importance of all momentous milestones. We pride ourselves on being a part of every celebrated adventure. Our custom cards are the most premium. They're made from the best eco-friendly materials available. We provide birthday wording ideas and sample text. We have invitations templates for you to use. This helps you to create the perfect card for your gathering. Each party invite that you select, comes with a free online proof. You can customize the details to your liking. Whether you seek modern, classy engagement announcements. Perhaps a warm, welcoming baby shower invitation. Allow Polka Dot to be your go-to source for party-invite items. Wedding invitations and other shower ideas are available too. These bridal luncheons or lingerie shower are in our wedding area. Our kid's birthday custom party-invitations seem to be the most popular. Kids enjoy party birthdays. Whether it's a simple invite to a small gathering. Or you need birthday invitations galore. We have you covered with over 8,000 varieties of party invite designs. We feature colorful, whimsical, elegant and festive options. These are suitable for partiers of all ages. We have some of the most popular party themes. They are tea parties and pool parties for the summertime. For a business holiday party, create your custom event cards online here. Choose a design that will have everyone excited to RSVP. Another popular selection we have are graduation party ideas. Whether your child or family member graduated Kindergarten. Maybe they're receiving their college degree. You should celebrate all the moments with equal fervor. This is how our graduation invitations cover all bases. We understand the importance of loved ones. We help to indulge in all life-marking festivities. Check out our section of custom announcements. Send these out for new home, birth, save the date, or grad. We are one of the most renowned online boutiques for invitations templates. We offer a wide variety of designs. Most from some of the country's most popular stationery brands. Polka Dot Design has you covered. We alleviate the pressures of planning an event. We make the first step a simple one: the party invitations. One of our favorite traditional invitation brands is Odd Balls. Odd Balls is our favorite fine stationery. You can order odd balls invitations online from their brand page. You can order Odd Balls blank as diy invitations. They will drop ship to you direct. You can have us custom print them for you. Either way, you will get a boutique quality card. One that will be great for the scrapbook and the invitation box. Kit loves to design invites that require assembly. This caters to the old school do-it-yourselfer. You will feel like you work for Etsy. This as you order pink baby shower invitations for girls. You'll assemble the cards with the pink ribbon and embellishments. You're in charge of planning your corporate event. This can be tough to choose which stationery store to use. It can become stressful. We understand that and work with you on your printed cards. This helps reduce your stress level. You can plan the holiday lunch or corporate golf tournament easier. Live shouldn't be that hard. As you look for corporate party ideas, ask us first. We can custom design an invite for you. Go with something classy like Faux Designs. Faux Designs creates card stock that is foil embossed. This can lead to a tight, crisp, and clean invitation for your corporate event. You can order them blank or we can print them. The choice is yours. I would suggest having us print your envelopes. Return address printing on the back flap of envelopes is upper class. It can be tricky on a home or office printing machine. Our religious and Christian based invitations are perfect. You can use these for your child's baptism or christening. First communion invitations are available with crosses. We have some with lambs. These can be custom picture cards like a birth announcement. All of these could double as Christian wedding invitations too. It's the wording you put on the card that makes it unique to your event. Celebrating the first holy communion is a huge deal for girls and boys. It takes a lot of preparation and you should treat as such. Invite all your friends and family with a custom printed announcement. You can trust Polka Dot Design to deliver. We excel at all the big, and little, moments in life. Remember that without an invitation, it's isn't a real party. You can use an evite, which is lame. All that says is that I thought of this at the last minute. How does that look to your guests? What could it mean to your honoree? Maybe you should send out a text message inviting everyone. Perhaps they'll come to the party you created an hour ago. Get real. Love life and love what you do. Plan ahead and order custom invitations. Free printable invitations are worth what you pay for them. Our printed invitations are on a good quality 110 lb. card stock. The paper is thick to the touch. We don't print on flimsy, glossy photo paper from Walgreens. I mean wouldn't you want to learn how to make your own invitations online? We give you the tools to do so in our design studio. Choose customize this item. You will enter the studio of our stationery store. You can choose from different fonts and colors. Our typesetters and layout specialists will help you. If you need party wording ideas, we've got that. If you have online invitation maker issues, we can help. Create invitations for a business holiday party. The invites cards are like a business card for your company or corporate event. If the invitation photos are not on point, this could look bad for your business. We will always make you look good with our high quality paper and attention to detail. Whether it's a party kids or a party graduate, you will feel at ease ordering online here. Creativity is the sugar we put in our coffee each morning we get started. Rest assured you are getting the best of us for your baby and kids. You are officially invited to celebrate with us. At Polka Dot Design we love to party, and we love helping our clients party! The gift of hosting an event in honor of someone's birthday is like no other because it really does give your loved ones the chance to have a party in your honor, where it's all about you, I mean what could be better? We love helping plan the perfect birthday party by starting with the theme, we have loads of birthday party ideas on our blog, from Fiestas to backyard BBQ, there really is no end to our creative forces, just let us know how we can help. Our in-house designers come up with endless birthday invitation ideas. All you have to do is simply jump online and check out the invitations party section of our website. You actually might find yourself graduating from texting your friends to come over to actually sending out an invitation birthday announcement inviting them to attend your party. We always love having parties around here, so let us be your guide! You can dig through and find the perfect photo of the birthday kiddo and use it to create a personalized card, then add it to one of our photo cards from the photo card section. The parties invitations are the best way to let your friends know that they better save the date for this event. So grab your favorite new jacket, and snag your best friend because it is party time. Once that birthday invitation lands in your guest's hands letting them know that they have been invited to a birthday party, there is no telling how many times they will look at the invitation in anticipation. So, make sure it gets sent out right away. Maybe you want to host a good old-fashioned pool party complete with beach balls and a playlist that even your Mom will get down to. Just make sure you have your guests bring a towel and sunscreen. Another option might be to have your guests roll on over to celebrate your birthday at a bowling party, complete with shoe rentals and maybe some matching party t-shirts, you can get all kinds of fun bowling party supplies to make this theme elevated and memorable. A traditional dinner party is always an elegant choice as well, you can choose from one of our many birthday invitations that set the tone for a relaxing night of adulting. Maybe choose a colorful Tuscan theme complete with an Italian feast, or perhaps you are more of a wine and tri-tip person, pick out one of our many wine themed invitations to let your guests know they will have a night to remember. We have gorgeous floral themes as well, along with nautical touches reminiscent of Newport Beach and spending long summer days on the patio sipping mint juleps or old fashions. Whatever your need is, we are here to help celebrate life with you. There are plenty of reasons why one might reach out to Polka Dot Design to fulfill their celebratory needs. Beyond the fact that our cards, notepads, and stationery are some of the best in the game, it really comes down to our invites which are what contain the best assortment around. We have a selection to choose from that will include each and every single momentous moment in your life. Gather your closest friends and family with a few of the greatest choices from Polka Dot Design and you will never be disappointed in the end result. We welcome all with open arms to test out our styles and designs, along with the chance to personalize their own pieces that reflect who they are and what their occasion represents. Here at Polka Dot Design, we offer a variety of products to customize within our design studio. Here, guests can use their own selection of fonts and colors to create a one-of-a-kind work of art. Otherwise, if you like what you see as the original invite, then simply use that style and work on what you want to say next in the text. For those out there who find themselves struggling to find the right thing to say, we also offer wording options in order to level up the entire card. We know that coming up with the right words to say can be quite difficult, which is why we provide wording options and phrases to sort through in order to make your order the best it can possibly be. Think about how many types of invites you may need in your lifetime. It starts with your birthday party, then your partner's party, maybe your best friend's baby shower, then engagement and wedding party cards, thank you cards, if you have children then it starts with birth announcements, kids birthday parties, graduation announcements, we could go on-and-on. The point being, there are plenty of moments in life which require some sort of correspondence to reach friends, family and loved ones. So why not have a reliable, go-to source for all those things? Polka Dot Design has a collection of items that can be useful for any occasion, no matter which point in your life requires a little bit more planning. We want to be there for you through all of life's most celebratory moments. One of the best parts about our assortment of party supplies is that we have the regular old run-of-the-mill party cards—birthday parties, castles, clowns, princesses, and cartoon animals—and then our collection spreads even further to the more obscure party ideas like the Mexican fiesta or a backyard BBQ. Our themes stretch fairly far from some of the more common ideas to some of the strangest, yet most fascinating ones. Have you ever thrown a nautical party? How about a crawfish boil? Here at Polka Dot Design we pride ourselves on having the biggest arrangement of party fun that you could hope for. Our collection of party invites also knows no age limits. We have specific cards which are meant for children, but also age-neutral cards which can be used for a variety of occasions. Perhaps your partner is turning the big 5-0 and you need a way to gather their closest friends for a surprise party they will remember for years to come. Not only do we have plenty of "50th Birthday" cards to choose from, but we also have a variety of wording tips to make sure the guests know it is a surprise! Or perhaps you need something to send out for a 5-year-old's party. Spend a while together browsing through our collection online until you both settle on the perfect theme and an even better card to send out to those who are invited. One of the most popular times that people head over to Polka Dot Design is during summer. Not only are the pool parties littering the calendar, but also the backyard BBQs, July 4th parties, and graduations are in full effect. There is so much happening over the summer months, it sometimes can be hard to keep track. Check out our calendars and notepads if you are looking to stay a bit more organized during the summer season. While the kids are home from school, it may be a bit overwhelming to try and keep schedules and play dates in order. Create your own personalized calendar to stay in the loop and on top of the happenings going on in life. It is always nice to have a bit of reliability within your day-to-day schedule.. Maybe you have your favorite dry-cleaners, your favorite grocery store, or your favorite place to buy clothes. So why not let Polka Dot Design be your go-to source for all your celebratory needs? While many companies offer E-vites as a way to gather friends and family to your soiree, Polka Dot Design does not rely on such impersonal invites. We use technology instead, for things like online proofing, so that guests can get a feel for what they will receive in the mail rather than just sending things via the world wide web. E-vites not only show that a lack of preparation was involved, but also a lack of intent. By ordering your supplies through Polka Dot Design, you are carefully curating your own occasions in life. You can plan and primp each of life's moments and include us along for the journey. We pride ourselves on providing the best in product, service, and satisfaction. You can contact our customer service department at any time for questions, concerns, or maybe simply a little bit of help in planning your next event. The same way that you know where to go to shop and you can trust the outcome always, we want you to find that comfort with us here at Polka Dot Design. Save 25% or get free shipping on custom printed invitations online. For information, email us. You can call us toll-free at our phone number at the top of the website. Give our team a call if you wonder how to make or where to print invitations. We've got you covered for all your wedding invitation needs. Join our mail list to find out learn about kids parties. We do customizable invitation design. Let us design invitations for you. Planning birthday parties can be a big task. We are here to offer our experience to guide you every step of the way. Our product selection offers the perfect paper to kick off any soiree. Throw your bestie a cocktail party to celebrate her birthday or co-host your cousin's bridal brunch. Polka Dot will get your party guest list pumped with unique designs. From sweet florals and elaborate monograms to bold patterns and glittery themes. There's always something for every one of your needs. Our team of designers planning parties a snap. They create designs that are charming, inspiring, and somehow set the mood for celebrating. Our customizable cards are sure to create enthusiasm for any event you are planning. With so many various options to pick from, you can find an invite that perfectly fits the theme of your party. Picking the perfect party wording is important too. It sets the tone for your event and lets your guests know how to plan for your party. We have lots of inspiration on our blog. Wording for your social invitation messages will depend on the type of party, the location, the guest list, and the theme that you want to incorporate. If your party is for the little girl or boy in your life, tailor your theme to their interests. Things like princesses, frogs, trucks, jewelry, make-up, or tea parties. Another theme for a girls birthday party is a spa party. Plan your party at a local salon or transform your own patio into a fun little day spa. The girls can each get manicures, put on make-up, and play dress up with fun items like hats, boas, and playful jewelry. It would be any girly girls dream birthday celebration! For the boys, create a backyard jungle them for them to do some adventuring in! It's so fun to create a moment of magic for their little minds to get lost in. Looking to host something more Adult. Imagine your friends saying, "I'm really looking forward to the party this weekend. We always have the best time." Those uncomplicated words make it especially satisfying and endlessly motivating for a host to throw annual parties. Keep your killer party reputation alive, and start by selecting the perfect invite for your guests! Use our expertise to guide you. We will help you carefully select the design and wording of the invitation to leave guests with the best impact. When deciding on a design for the invites, evaluate whether the event will be fancy or no-fuss. Choose modern invitations for a formal party. Clean lines, minimal design features and simplistic colors are a great choice. Pick a more artistic invitation with bright colors and wild details for a laid-back event. Decide in advance whether you will send the dinner party invites through the mail or hand deliver them. Don't forget to include the essential pieces of information in the details you send to your guests. Include the name of the event, the name of who is being honored at the event, the date, the time, the location and the RSVP contact. Most importantly, add your special touch, after all, you are the reason most of them will want to attend! We offer personalized invitations with endless color combinations. We have each graphic designer create their own individual designs. They are printed on our exclusive lush paper. You are unique, and your custom invitation cards should be too. Allow the design to accurately reflect your personality and style. That is why we are willing to offer you free proofs. Free invitations can be used as a save the date. But for the real event, send something through the mail. We make you a free proof so that you can see for yourself your customized options. Then all you have to do is approve it for print. Order card designs in your favorite colors and fonts. Add on as many versions and suite items as you wish, and choose from a wide variety of stickers or stamper options. Design the entire wedding suite, complete with your very own wedding colors. Sample multiple proofs if you need to until it's exactly what you have your heart set on. Your wedding day is one of the most important days of your life, we want to make sure our part is as perfect as possible. Starting with the paper. With literally hundreds of designs to choose from, designing a custom invitation card is insanely easy. The perfect design is just a few clicks away. It is an easy way to unleash your creative flair with our "design on your own" studio option. Or, let us do this for you. Start the process by picking your personal theme. Use stylish colors in countless combinations to make your card as one of a kind as you are. The invitation makes getting together that much more fun. Each card is made beautifully simple. Choose from our cute and absolutely practical online invitations. Browse our online collection and see how it works. Give us a call or just go ahead and choose your design. Peruse our curated compilation of boutique quality goods. Make it your own by adding photos and choosing your favorite quote. Looking for some fun and stylish wedding invitation inspiration with a twist? We're loving the use of rustic touches animated by the outdoors. Add in the mix of bohemian patterns and the use of a pastel color palette of lavender, mauve, and dusty rose. Add the crisp white backer card and elegant envelopes. Order matching stickers to add a fun and modern touch to this chic bohemian combo. We offer thousands of options on each and every design you can imagine. So you can match the save the date and thank you cards for your wedding colors perfectly. Coordinate your baby shower with your announcements. Add address labels to make your life a bit easier. Each set belongs to a perfectly coordinated color grid, so you can start the tone of your event perfectly from day one. Sample as many as you'd like, your proofing is free. The process is fully custom, to ensure your cards are picture perfect. It is our pleasure to celebrate life with you.